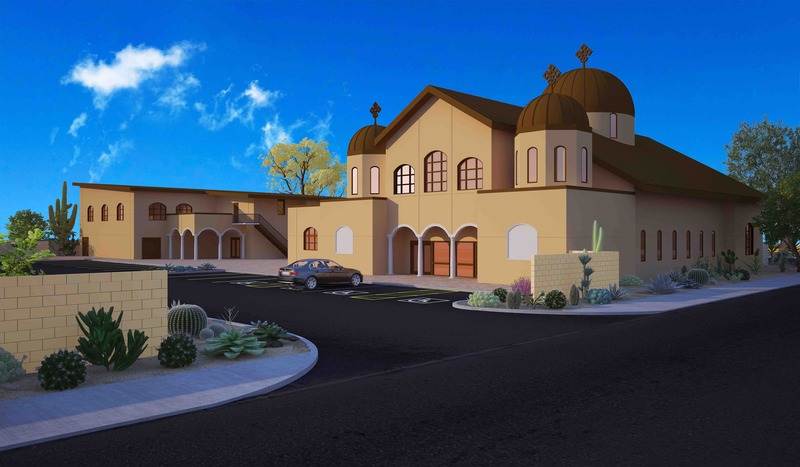 We are the Debre Metemaqe St. Mary's Ethiopian Orthodox Church here in Phoenix, AZ. We are currently raising money for a new church facility which is needed for our growing church membership and the future services we would like to provide. You don't have to be part of this church or believe in this certain religion to donate. You can just do it for the common good. This church means a lot to any Ethiopian Orthodox follower especially here in Phoenix because this is where we get a sense of our culture, tradition and a sense of our community while being away from Ethiopia. We are trying to pass on our religious traditions and the Ethiopian culture to the younger generation and a new church is needed to do that. This means so much to us, due to the simple fact that this will allow us to continue to help spread the religious teachings of our Lord Jesus Christ. Thank you for your time and donation in advance. I'm one of the members of the Debre Metimaqe St Mary's Ethiopian Orthodox Tewahido church in Phoenix, AZ.. This church provides a sense of purpose and meaning for my life through the teachings of Christ, the savior. I would imagine this would be the case for everyone who believes in Jesus Christ. The purpose and mission of this church is to spread the word of the almighty God, and His love to mankind demonstrated through His only begotten son on the cross long ago. And also, this church preserves the rich culture and traditions of Ethiopia that is intricately intertwine with the Orthodox Tewahido faith. As a direct beneficiary of what this church has to offer, I really appreciate and admire the leadership's effort to advance the service by acquiring more convenient building in the near future. I truly believe that your effort with members undivided cooperation, the dream of owning a new church will become reality very soon, with God's help. For those out there who are not members or believers of the Orthodox Tewahido church your generous donations much appreciated by the congregation. God bless you all.